Enforce Pooper-Scooper Rules With DNA Testing? A company called Poo Prints claims Dallas and other cities can cash in on dog waste through DNA tracking. Dallas City Council members chuckled Wednesday when they heard about the plan, but the company is dead serious about the opportunity to find irresponsible dog owners by lab testing turds. "This waste does run off into the Trinity River, and it does affect our ecosystem," Poo Prints spokesman Chris Taylor said. "And we do want to keep our parks clean. We want to keep them healthy. This is a very easy way to do it." The company sells $29.95 DNA kits that come with a swab to take an oral sample from a pet that is then recorded in a world pet registry. Poo Prints sells $49.95 testing kits to sample dog waste, which can be matched to pets recorded in the registry. Dallas dog owners don't like the proposed idea of using DNA testing to enforce the city's pooper-scooper rules. The Ilume apartment complex on Cedar Springs Road in Dallas is using the program to enforce responsible pet ownership on its property. Residents are required to record their pet's DNA. They're fined $250 if waste on the property is tracked to that pet, and the resident can be evicted for a second offense. "We've gone from picking up maybe an hour a day of poop, to picking up maybe one or two a month," manager Joshuah Welch said. The complex has about 300 pets, and residents pay the entire cost of the enforcement program, Welch said. "We're serious, and we're not playing around here at Ilume," he said. Cedric Moses with Poo Prints also said the DNA samples benefit pet owners because they also replace implants used to help return lost pets. Medical records can also be stored in the registry, and owners can receive alerts for veterinary care. "There's a ton of benefits that come behind this as well," Moses said. The city of Dallas already has a "pooper-scooper" law, but owners and pets must be caught in the act of leaving waste behind, and that rarely happens. 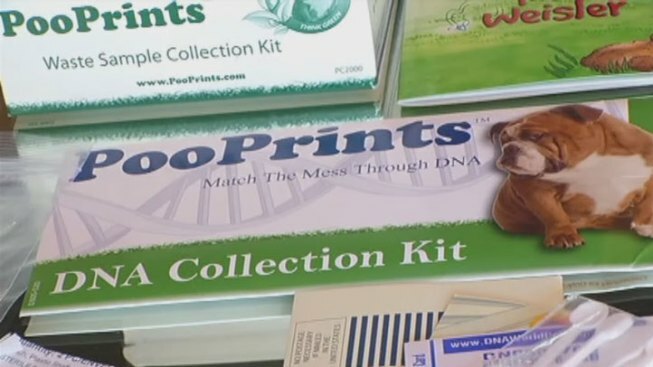 Poo Prints wants the city of Dallas to adopt the DNA program, and some council members are interested. "I think that's a great idea," Councilwoman Angela Hunt said. "I think we do need enforcement, especially in some of our denser areas where you have a lot of folks living with dogs and, if they're not picking up. It creates a problem." The city would pay the cost of pet-waste testing, but Moses said it could be passed along to the pet owner. The company claims the city could earn millions of dollars in fines. Hunt called the company's financial claims "completely out of the realm of possibility," but she told the company to provide more information about how such a plan might work for the city. 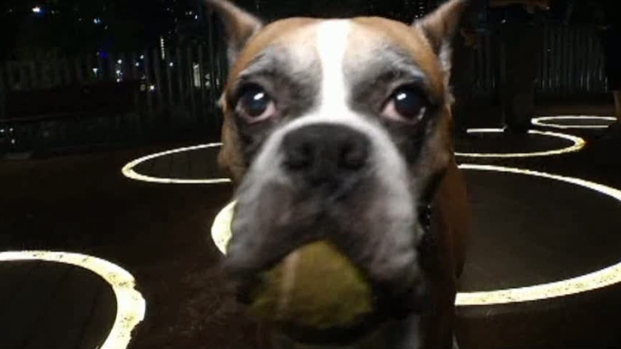 The program may be effective at the Ilume apartment complex, but some pet owners at Klyde Warren Park who heard about the idea questioned whether it would be possible to get enough pets in the registry to make sampling dog turds a practical solution citywide. "It is a problem, but I'm not sure fining people and registering dog's DNA is maybe the right way to go," dog owner Nancy Perry said.